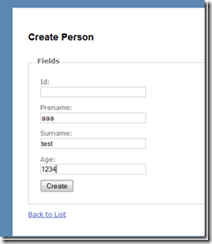 With ASP.NET MVC the developer has now full control about the HTML rendering and how the form data will be transmitted to the server. But how can you get the form values on the server side? There are better ways in MVC to do that than Request.Form["..."]. 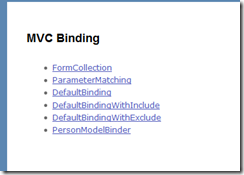 If you are new to ASP.NET MVC, I recommend you to read this post or look at asp.net/mvc. 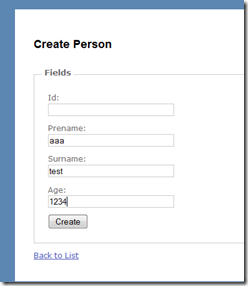 In this HowTo you can learn how to access the form data in a more elegant way than Request.Form["..."]. This option is the simplest possible way to access the form data, but not very elegant and hard to test, because you need to know which keys are in the FormCollection. This option is very handy. 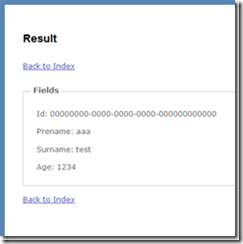 The HTTP form values will be mapped to the parameters if the type and name are the same as the transmitted form value. This option is easy to test, but you have to map the parameters to your model manually. Now we use our own model as parameter type. 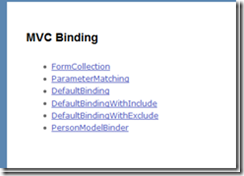 The default model binder, which is included in the ASP.NET MVC, will map the incomming HTTP form values to the properties of our person, if type and name match. You should think bevor you bind - to secure your applicaiton you can specify which properties will be mapped to the properties of the parameters. The same functionality, but this time reversed. If you put a prefix in your Html Input controls (because you have multiple "name" fields), than you can specify a prefix. All these options can be used together and you can map more than one parameter. If the values are getting more complex or you want your own mapping logic than you can use the IModelBinder interface. One example is Fileupload or to get the session user. 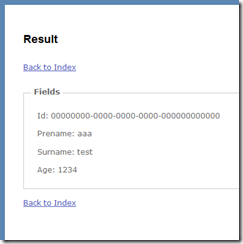 You get full access to the form values or other controller properties or route value. 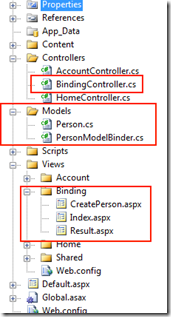 ModelBinders.Binders[typeof(Person)] = new PersonModelBinder(); // Important! 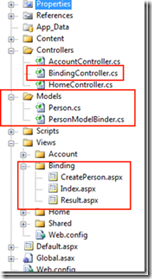 Everytime you have a parameter of type "Person" the "PersonModelBinder" will try to map the values to this object. You can even "bind" arrays / lists. Read Scott Hanselmans post for more information.